Home based businesses are one of the most profitable investments. From low start up costs to working within a flexible time frame, home based businesses provide you with substantial benefits. Also, if you are looking to own an established business from the start, some companies offer home based franchises. Here, we will cover the benefits and options of home based businesses. Firstly, operating your business and working from home would save up on your commute time. A recent poll shows that on an average Americans spend 50 minutes daily in commute and do not enjoy it. Home based business would, therefore, leave you with more productive business hours. 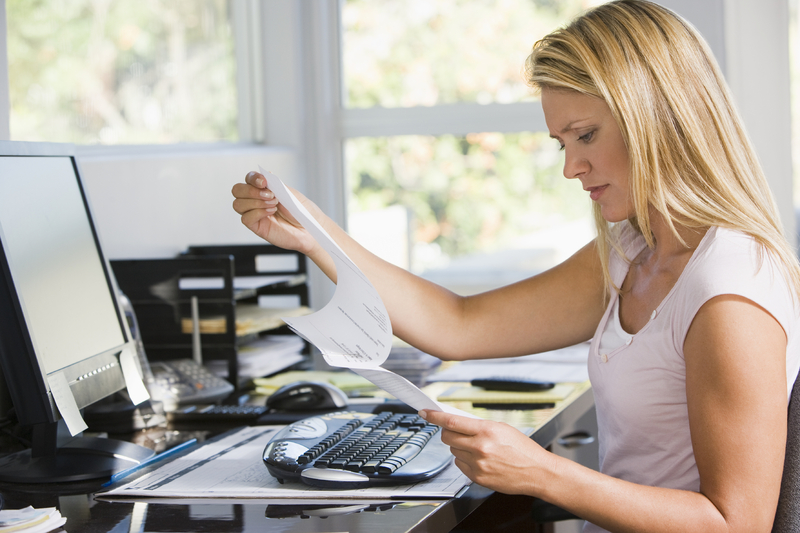 Next, home based business ensures that your overhead costs are minimal. Since, you operate from your home, you can save on rent, utility and resources costs. As a result, you receive more flexible with your product or services pricing, offering them to your customers within a fairly competitive range. Lower costs give your home based business an edge. Additionally, Home based businesses lower start up costs, allowing you to try different things. For example, you can give your business a try. Then, if that one does not work for you, the low start up costs allow you to try something else. As you can see, home based businesses give you more opportunity due to lower startup costs. As with any other businesses, home based businesses can be profitable if you do what that interests you the most, as long as your passion is not just watching entrepreneur TV shows. Unlike your regular job, home based businesses offer you the freedom to work for yourself and love what you do. The options are endless. But, it might be a good idea to identify what works best for you before starting the company. Starting your own home based business also means charting unknown territory. For individuals who want a safer route, you might consider home based franchise opportunities. Home based franchises offer a well-known brand name and operational business strategies. Otherwise, you are on your own to create the brand, processes and services from scratch, which is not a bad as you might think. Either way, starting a home business is a new experience that should be full of learning, excitement and passion. Home based franchise options are also quite varied and you can take your pick from the ones that suit your interests. Below, we have a couple of franchises that show potential. But you do not have to limit yourself to these two. They are just examples. Doing in-depth research for the right franchise, you will be prepared to have a successful home based business. MaidPro is one of the reputed residential cleaning franchise companies. It has been operating since 1991, spanning a total of 196 franchise units in US and Canada. The company is known for its trusted software innovations to provide the best clearing services to its clients. They offer home based franchising along with ongoing training, support and marketing help for willing franchisee owners. MaidPro can be a profitable home based business option if you want to get into the residential cleaning industry. Home Helpers is another company with great potential to work from home. Operating in the home care industry, the company provides personal care with medical and non-medical services. Moreover, they are well known for home based franchising. You can rely upon their support system to set your business up. Then, they provide you with regular feedback and evaluations to ensure that your business is steadily improving. Home Helpers is a good home based franchise opportunity which also helps improve the community. When trying to come up with a great small business idea, many people try to analyze the economy, do in-depth market research or search local businesses for sale. These steps for preparation are great. However, starting a home business requires your heart to be in the business too. Odds are if you are passionate about whatever your business is, it will eventually be a financial success. So, before checking out our home based business ideas below, think about your own personal strengths, weaknesses, likes and dislikes. Hopefully, if you can align your business with your passions, your first home based business could turn into a successful corporation one day. Here are some great ideas that others have found success in too. Opening a catering business is the perfect home business opportunity for entrepreneurs with a passion for food service and the culinary arts. One of the reasons why is because of the scalability catering services provide. You can easily work your way up from catering dinner for eight to providing wedding catering services. There are many different directions you can take catering businesses in. All you need is a well-equipped kitchen and great cooking skills to take advantage of one of the best home based business opportunities in the food service industry. Do you love dogs or other pets? Many people pay handsomely to have their pets walked during the day. If you are an animal person, this could be a great way to make a business out of your love for pets. A dog walking business is a very hot business idea at the moment that you can run from home. Property management is a great industry for several reasons. However, window cleaning is a special niche that many residences and business will contract out separately. Since all of the work has to be done at the client location, it is easy to start a window cleaning business from home. It’s a simple, yet profitable idea. If you have ever moved your home or office, you know moving can be a big hassle. If you are well organized and very energetic, a moving company can be a great home business. By moving people from one location to another, you can rent trucks and provide the labor required to help people move. Of course, you can charge pricing based on the requirements of the job and your costs. Many successful moving companies have started out at home and grown from there. Home based businesses surely have lots of benefits and options. That is why so many entrepreneurs want to start an online business. With the number of opportunities in the market, there is a business for everyone. It is up to you to find what you love and make a business out of it. will not just be enough, for the phenomenal clarity in your writing.